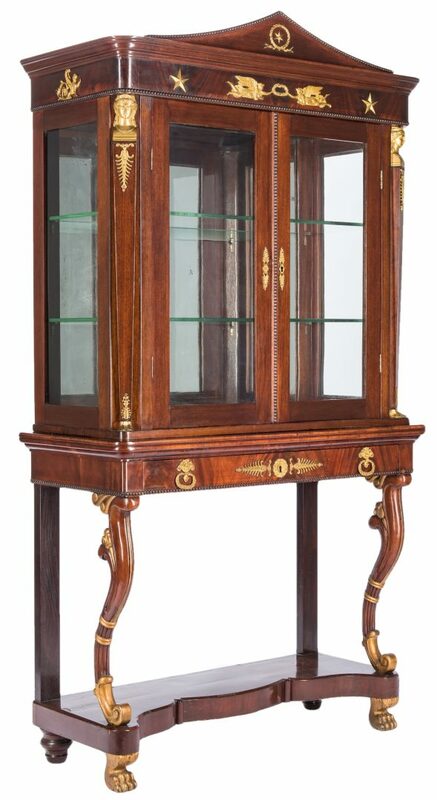 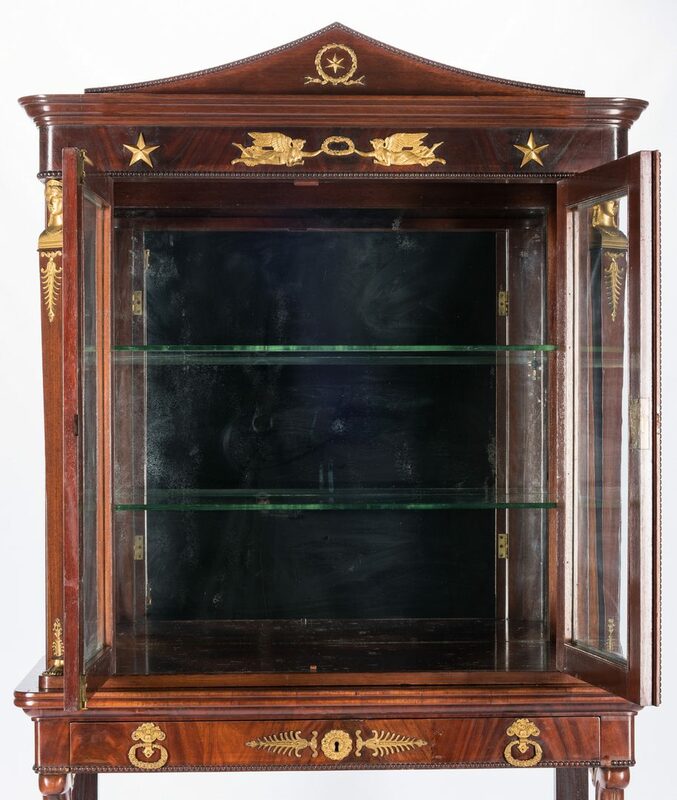 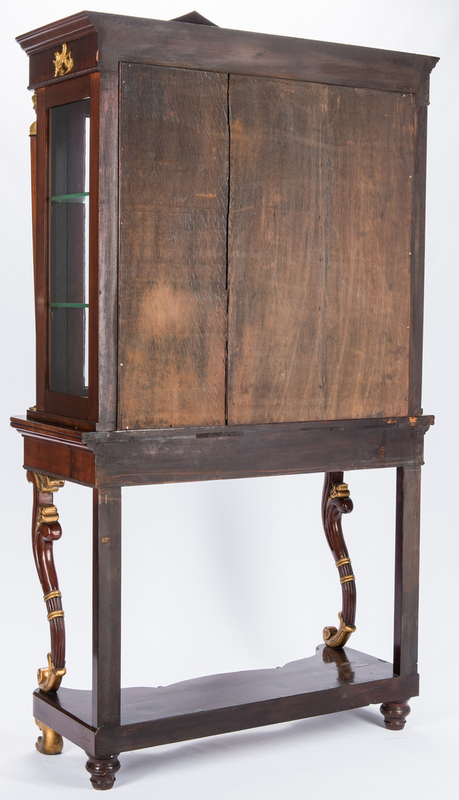 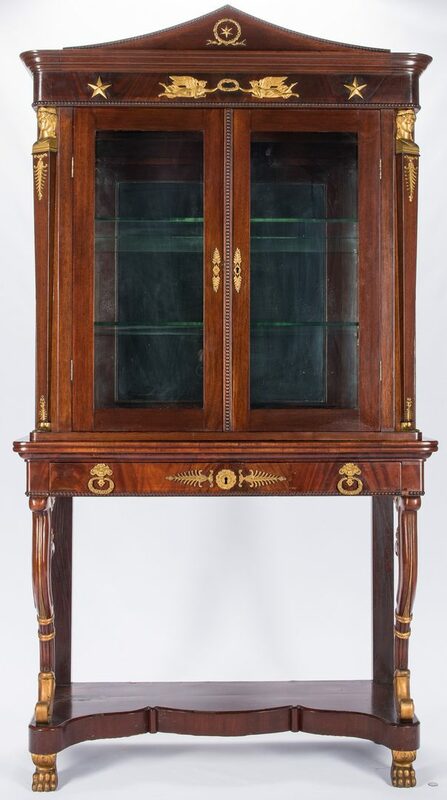 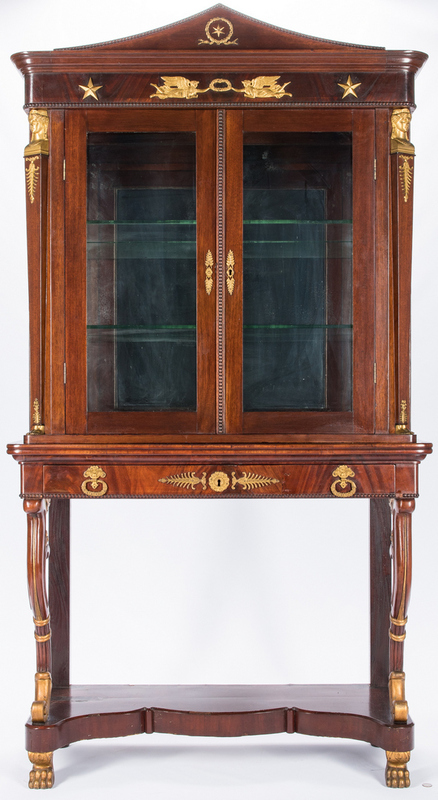 Napoleon III ormolu mounted mahogany and mahogany veneer vitrine or bookcase comprised of two pieces. 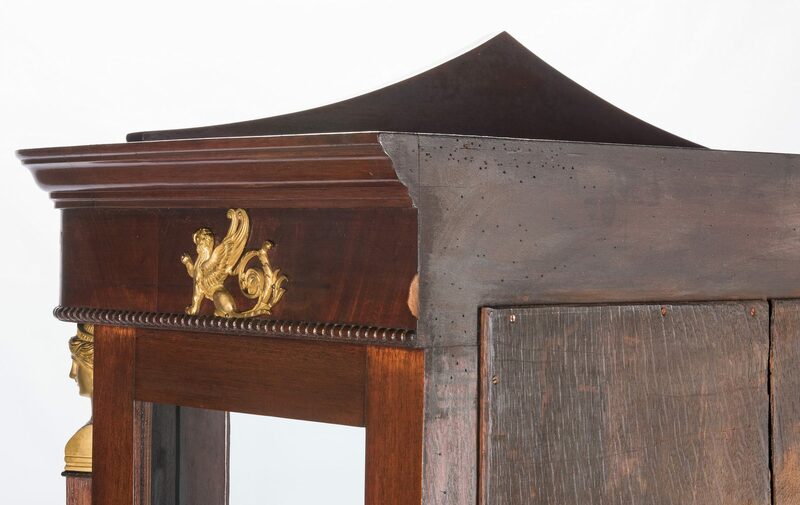 The top with a molded cornice having rounded corners and mounted with a central arched pediment having ormolu angel, garland, and griffin mounts, above two glass doors enclosing two glass shelves. 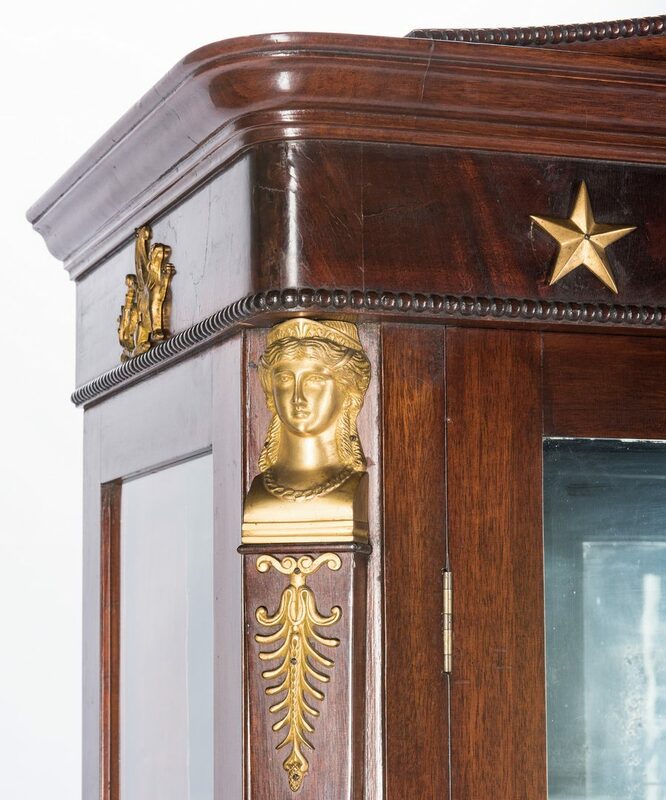 Canted corners with Classical female caryatid and anthemion ormolu mounts. 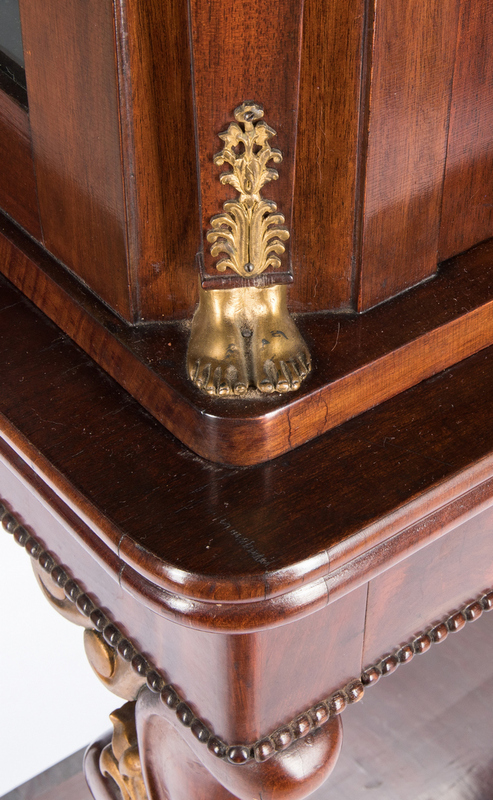 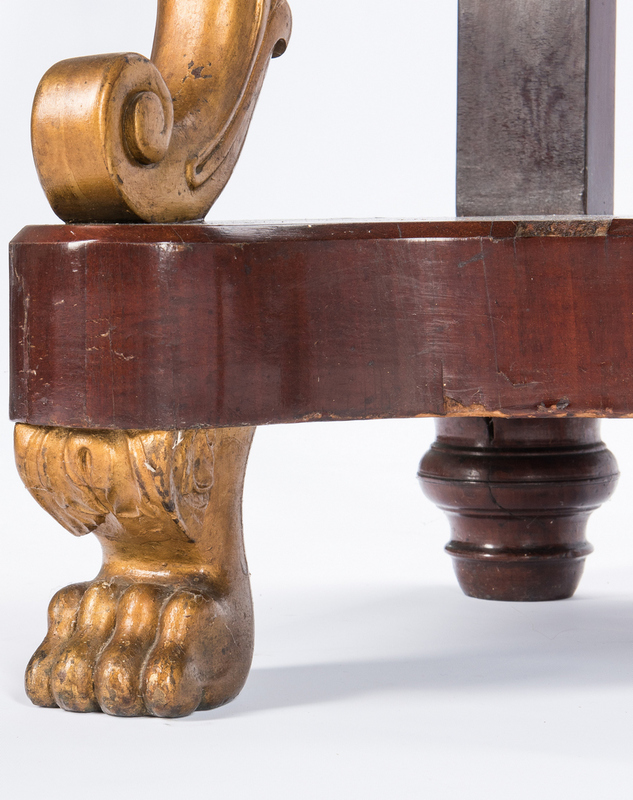 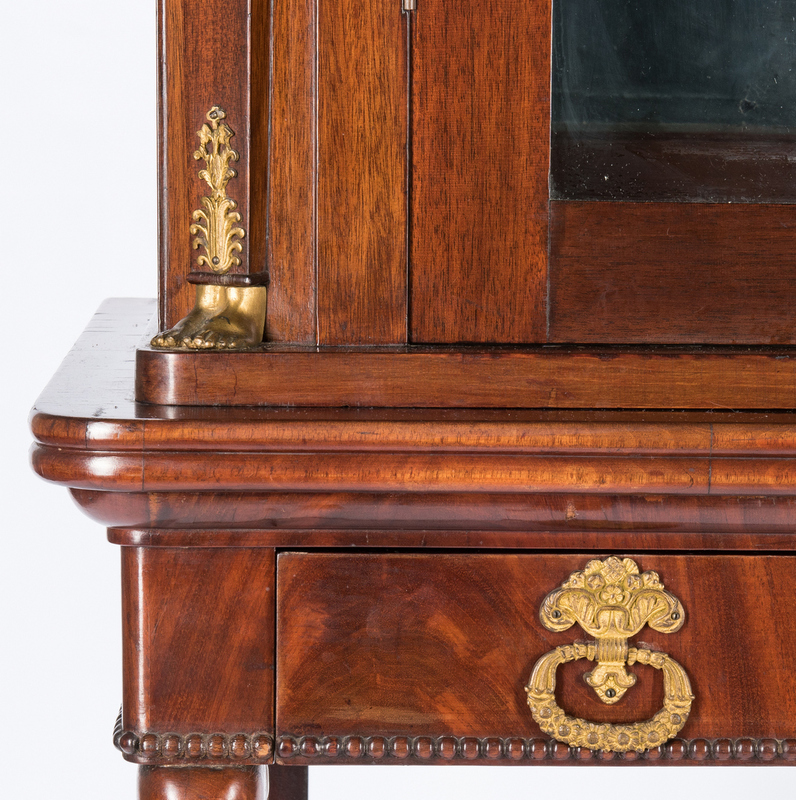 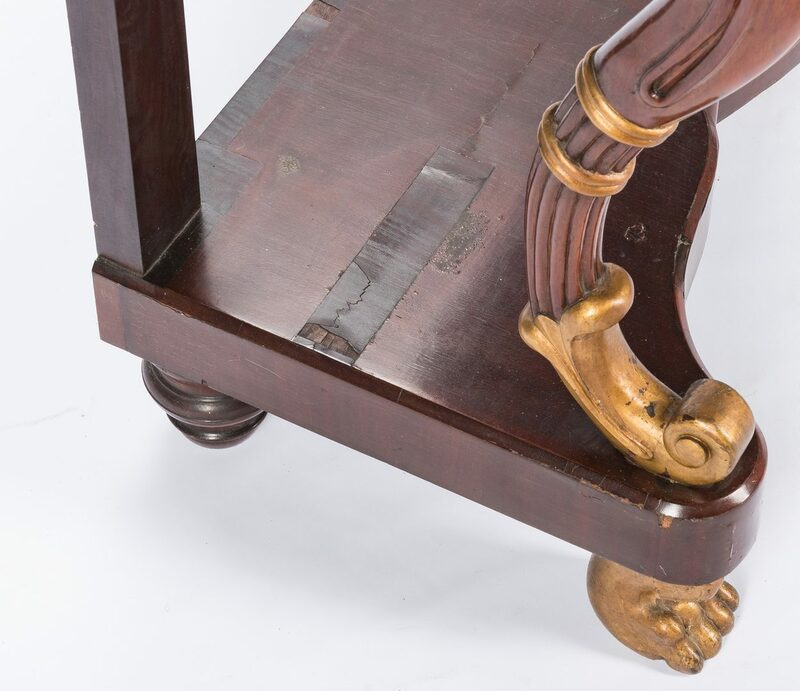 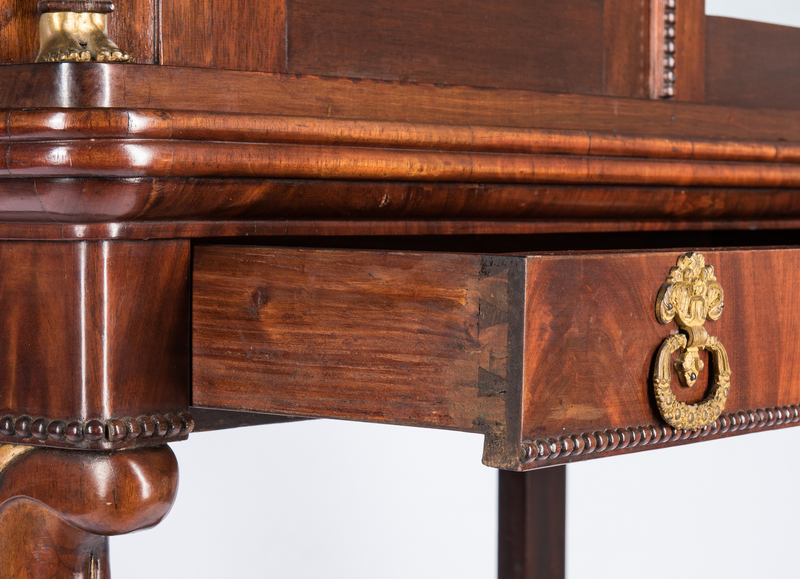 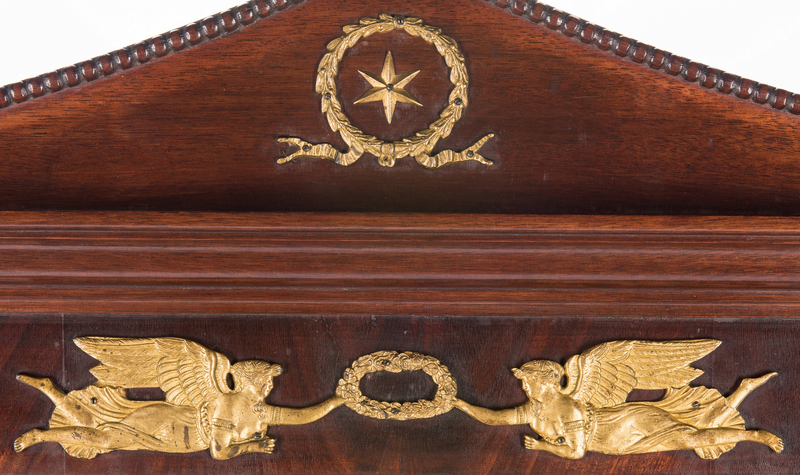 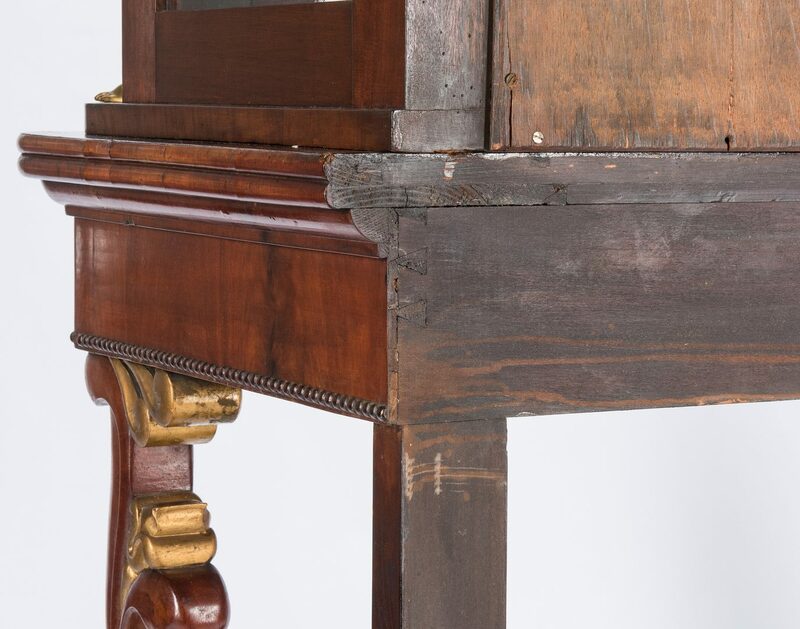 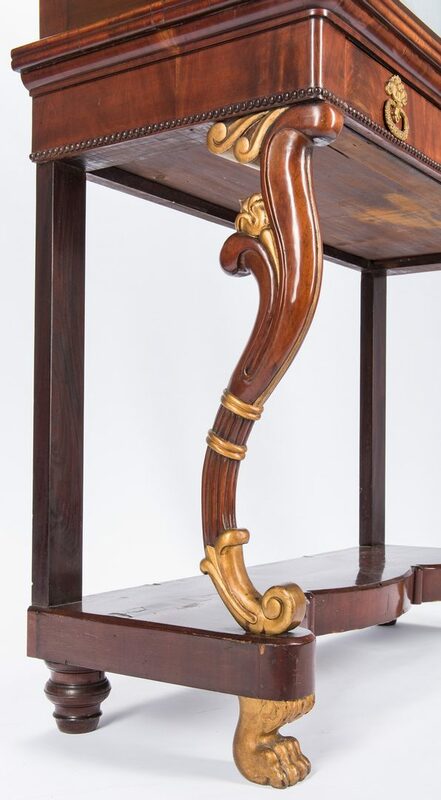 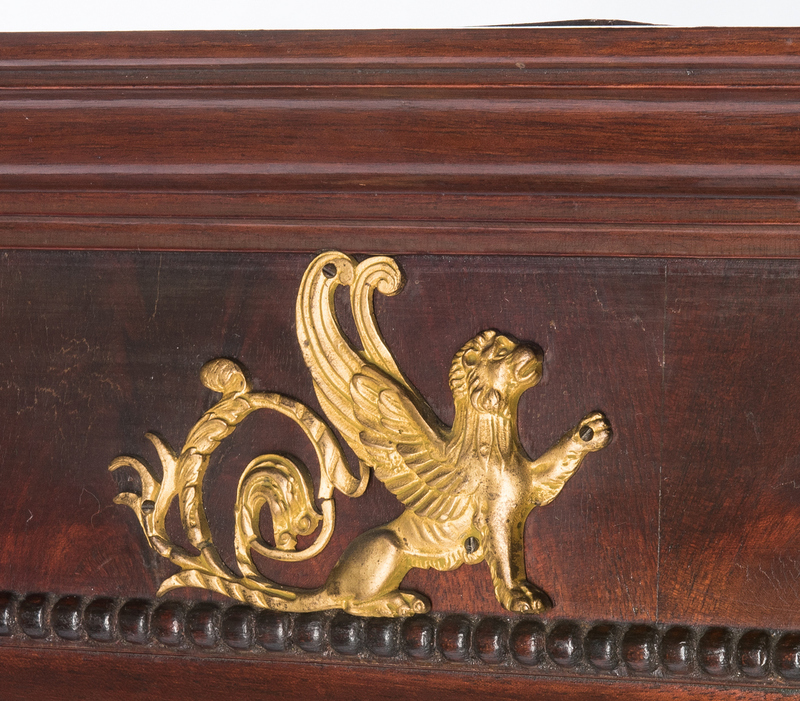 Table base with overhanging top with rounded corners, above one drawer with ormolu mounts and ring pulls, above curved and reeded legs with gilt trim, a shaped lower gallery and gilt paw front feet. 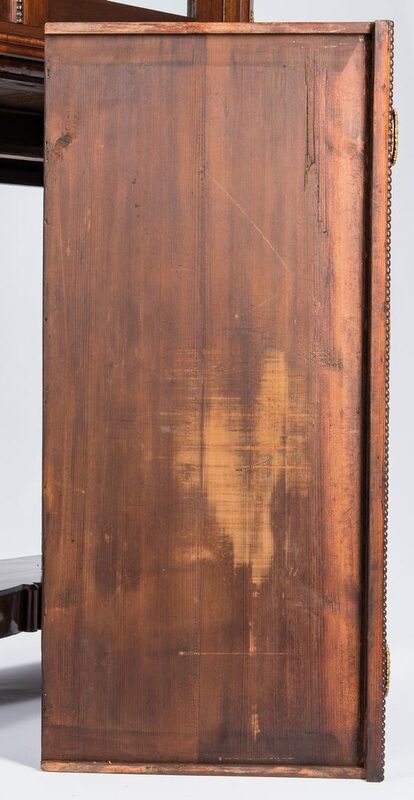 72 3/4" H x 41 1/2" W x 18 1/4" D. Late 19th century. 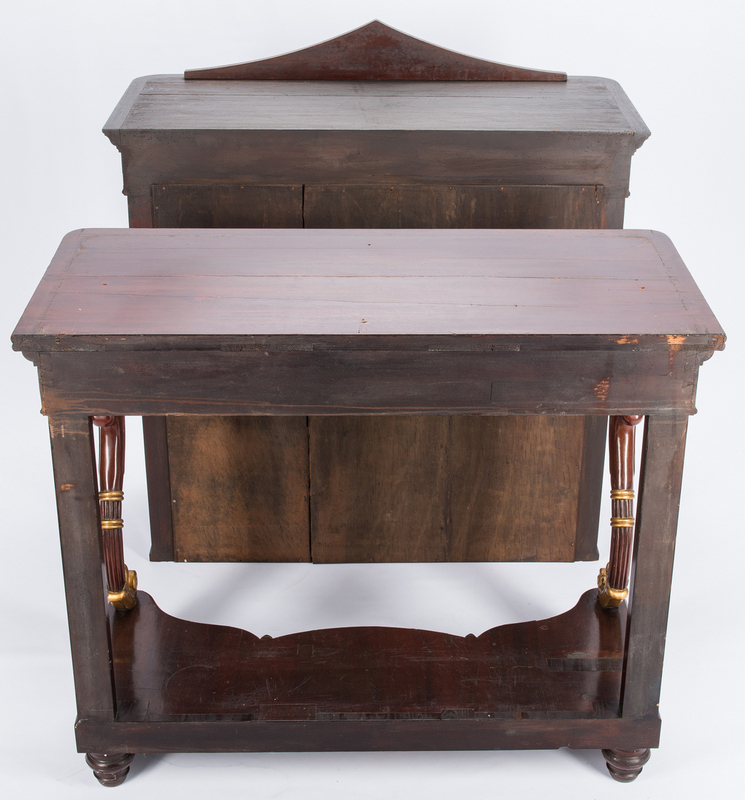 CONDITION: Overall good condition with overall general wear. 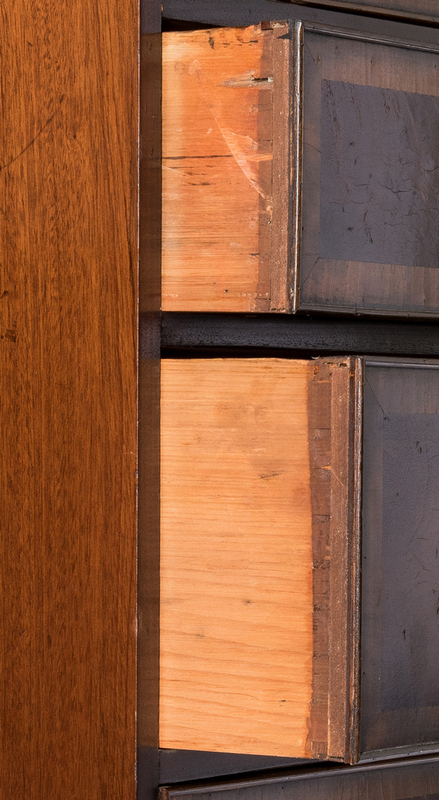 The lower gallery with multiple veneer losses and repairs, largest loss 2" L, largest patch 7" L.